December 10 is the last day for Detroit homeowners to apply to the city for a break on their 2018 property taxes. Nancy Kaffer is a columnist with the Detroit Free Press. She talked to Michigan Radio’s Morning Edition host Doug Tribou about the auction and ongoing issues surrounding it. Relief could be on the horizon for Detroit homeowners who missed their chance to apply for a property tax exemption. The Homeowners Property Tax Assistance Program offers relief to low income Detroit homeowners who can't afford their property taxes. But a lot of people don't know about it. And homeowners have to re-apply every year. Detroit has settled a lawsuit filed by the ACLU, alleging the city made it too difficult for residents to learn about, and qualify for, a property tax exemption based on poverty. Thousands of Detroiters in poverty paid property taxes they didn't owe because they didn't know they were exempt, and the city didn't tell them. 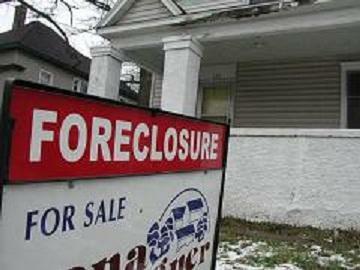 Many lost their homes at tax foreclosure auctions when they couldn't pay the taxes.